As a leading, local family run business we are proud to offer the full range of roofing services, all with the ethos of delivering an exceptional service at the best value possible. So much so, that the majority of our roofing work comes from our loyal existing customers and their many referrals. 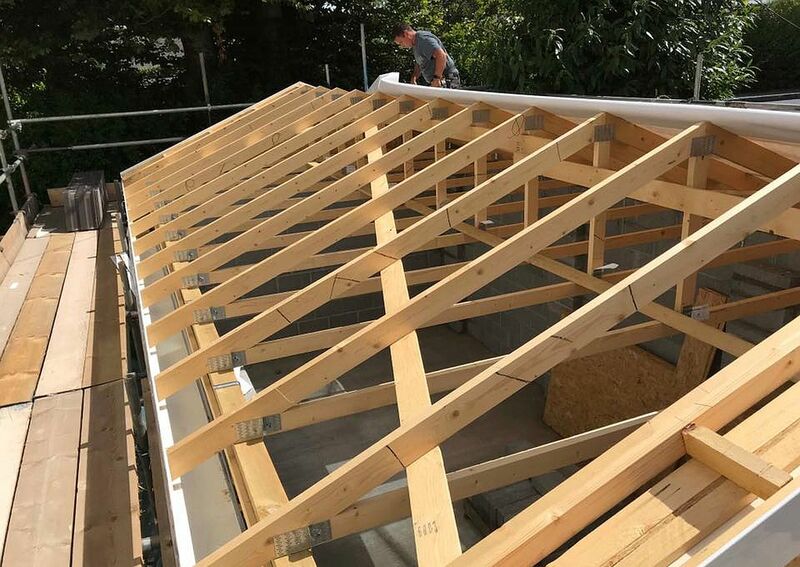 Paul Smoker Roofing Ltd has over 20 years experience, providing a professional, trusted and reliable service, specialising in all aspects of roofing at competitive rates. We are proud to be associated with Checkatrade, MyBuilder, Rated People, FindaTrade, BookaBuilder and Consumer Rights. Based in Plymouth, we cover all of Devon and Cornwall. Need a roofer in Plymouth or surrounding areas? Paul Smoker Roofing Ltd, are an established, professional, reliable local roofing company who serve Plymouth, Devon and Cornwall. All our staff are fully trained and we have more than twenty years experience offering domestic and commercial customers a wide variety of roofing services. At Paul Smoker Roofing Ltd, we pride ourselves on quality roofing services. Whether a minor repair or a full re-roofing is required, we guarantee the highest quality workmanship at attractive and affordable prices. With a range of different materials, and options available for flat roofing in Plymouth we’ll discuss your options in full and advise on the advantages and disadvantages of each material for your upcoming roofing project, always giving the best advice possible, and not just offering the material which costs the most to the homeowner!If you are uncertain which roofing option is the best for your roofing project just contact our team today for some helpful advice. After taking into consideration the size of your roof and the project you have in mine we can advise you on the best type of flat roof for your project. Fibreglass GRP roofing in Plymouth provides a strong, durable and long lasting solution to commercial & industrial roofs. Whether its factory, warehouse, showroom or office, your roof is vital to the day to day running of your business. Leaks, damage, age and deterioration can all unexpectedly disrupt your business at any time. Therefore it is vital that your roof is maintained and built to industry standards to ensure the protection of your business and goods. If you are looking for a Fibreglass Roof in Plymouth, Paul Smoker Roofing provide a wide range of roofing services to commercial & industrial businesses as well as domestic & residential customers throughout the region. From repairs & general services to complete rebuilds of all types, our GRP roofing services in Plymouth offer expert roofing to ensure your property receives the very best experience & service. EPDM Rubber roofing in Plymouth is also simple to fit, once the cut to size piece of rubber is delivered then position it on the roof in the correct place, lift one side up and spread the adhesive on the wood, then fold the half down and do the same for the other half. Once done get a broom to smooth out the bubbles and all that’s left is how you decide to edge it. Storms and in particular, high winds, cause damage to roofs throughout Plymouth – typically leading to roofing repairs. What can start as a small leak from a loose or missing tile can eventually end in damp or rotten joists and timbers. It is essential you manage these issues quickly and properly. Some roofing companies recommend low cost ‘quick fix’ solutions, like cement wash – however, we urge you to contact Paul Smoker Roofing – a specialist in roofing and roof repairs. We will provide a full assessment of work needed, backed by our free estimate service. Simply get in touch with Paul Smoker Roofing see how we can help with any roof repairs in Plymouth. Years of withstanding the UK weather can leave your Plymouth home exposed to damp, condensation and decay. Fascias are available in a range of styles and colours to suit your property and preference but when it comes to replacing Gutters, fascias and soffits in Plymouth, choosing a good-looking roofline product is only half the story. Expert installation is vital too, in order to protect your home against damp! We will visit your home at a time convenient to you, whether it is during the day, evening or even weekend, to provide you with a free no-obligation estimation, with a guaranteed no hard sell. We want you to meet Paul Smoker Roofing Ltd, the roofing specialist in Plymouth who can transform your home, and ensure it is properly maintained and protected for many years to come. Paul Smoker Roofing Ltd has over 20 years experience. NVQ trained in slating and tiling. SIG Design & Technology Accredited Contractor. Approved installer of CrysticROOF Premier. Approved installer of IKO Armourplan. Approved installer of Hydrostop EU AH 25 Liquid Waterproof System. Specialists in garage roofing including new roofs and re-roofing jobs. Step up felt roofing project by Paul Smoker Roofing Ltd. If you require the services of a highly reliable, time-served roofer in Plymouth or the surrounding areas, then contact us today. Alternatively, complete the contact form provided and we will be in touch as soon as possible.